JD Powers ranks Dutch Bros top coffee retailer. Tully's second. Dutch Bros. Coffee ranks highest in overall satisfaction with a score of 823 (on a 1,000-point scale) and performs particularly well in the staff, sales/promotion and cost factors according to J.D. Power and Associates. Tully's Coffee ranks second in overall satisfaction with a score of 812, followed by Caribou Coffee at 809. Dutch Bros Coffee, with three locations in Spokane and one in Coeur d'Alene is owned by Kevin and Kerry Parker. They are located at 402 West Second, 1306 North Division, 1010 West Francis in Spokane and 1680 Northwest Blvd in Coeur d'Alene. Tully's is owned by Dave Taney and is located in Spokane at Pacific and Cannon in Browne's Addition, 2009 E. 29th on the South Hill and 97 West Prairie Shopping Center in Hayden, Idaho. Staff, more than price or merchandise offerings, is key to driving higher satisfaction among specialty coffee customers, according to the J.D. Power and Associates 2012 Specialty Coffee Retailer Satisfaction Report which was just released. The inaugural report finds that a specialty coffee retailer's staff is more than twice as important to customers compared with the importance for the other factors that measure satisfaction. Customer service attributes such as courtesy, knowledge of merchandise, speed of checkout and availability contribute to the overall staff factor. Other factors contributing to overall satisfaction are merchandise, cost, sales/promotion and facility. It's Nationwide Open House weekend and the Spokane Association of Realtors and Greenstone Homes are planning a big weekend of Spokane open houses Saturday and Sunday. Mortgage interest rates are still near all time lows and there is a great selection of homes for sale in Spokane. Hundreds will be open this weekend. Go to spokaneopen.com to see which ones have an entry box to win a $1500 gift certificate to the Tin Roof. JM Meditation Yoga offered by Joy McMahon (certified instructor) in Stress Management, will begin May 3rd (Thursday) at 6:30 to 7:30 pm at 'The Inner Journeys Center' on Grant Street off 3rd Ave. This class is not your typical Yoga class. It is specifically designed to quiet your mind and release your stress so you can sleep better and feel energized during the day, with the ability to say focused in the present moment. Yoga postures are very minimal and gentle, and used to enhance the quieting of the mind and the restlessness of the body. This form of meditation yoga also connects you with your intuition as it is Mind-Body based. Classes are once a week for six weeks. Fee is $60, paid at the first class. For more information and to reserve your space, call Joy at 509-844-7560. A silent auction May 2nd, from 6-9 pm at the Glover Mansion will raise funds for the Bearing Project, celebrating the strength of women across the world. Created by internationally-known Spokane artist Ildiko Kalapacs in 2008, the original Bearing sculpture is a small bronze statue. This sculpture depicts a woman carrying a man, to represent the burden that war places on the human spirit. Dispossessed women carry the weight of family and spousal responsibilities; bearing the physical and emotional load of the aftermath of war. The public sculpture titled 'Bearing' is proposed to be cast life-size and placed in a prominent location in the greater Spokane area. Bearing will be a gift to the community from the donors of the Bearing Public Sculpture Project Fund. Suggested admission is $5 per person. Contact ed@ed-renouard.com or call 509-994-4427. New 2 Children and Women, a consignment store, has opened in the Spokane Valley at 11128 E. Sprague Ave. Ste. B next to Valley Self Storage. They are a children consignment store which accepts all baby gear, gently used children's clothing, toys, as well as maternity clothing and women's clothing all on consignment. Owner, Heather Kortness decided to open the business because she knows how it is to constantly be buying childrens clothing for growing kids and thought it would be nice to add something that no other children's consignment store in town offers and that also offers women's clothing so that mom's can shop for new items too. The grand opening is May 12. A Fine and Pleasant Misery: The Humor of Patrick F. McManus starring Tim Behrens, a hilarious one-man show will benefit the Summer Camp Scholarship Fund at The Salvation Army Kroc Center. Performances are Thursday, May 3 and Friday, May 4 at 7:30pm in The Kroc Center Performing Arts Theater, 1765 W Golf Course Road in Coeur d'Alene. Tickets are available at The Kroc Center front desk, or can be purchased by phone at 208-667-1865 or online at www.iTickets.com. Ticket costs are $23 for adults, $17 for children 17 and under. Sales benefit the Camp Scholarship Fund. The one-man Show introduces 12 zany McManus characters, from Rancid Crabtree to daft old Mrs. Swisher, from Strange the Dog, to a deer on a bicycle. The McManus Comedies are family friendly, hilarious stories about growing up in rural America when you're dirt poor. Spokane is had Startup Weekend this past Friday, Saturday and Sunday; it's a 54-hour event where developers, designers, marketers, product managers and startup enthusiasts come together to share ideas, form teams, build products, and launch viable businesses. It took place at GU's Jepson Business School. The idea came out of tech startup cities like Austin, Seattle, San Francisco, and Boston. It's a pretty big deal in the tech startup world and it's in Spokane this weekend for the first time sponsored locally by Magner Sanborn and Gonzaga University. People have been trying to attract this event to Spokane for years, and it's finally happened. Over 45,000 people have gone through the event nationally. It's a great opportunity to meet future cofounders, investors, and learn about how to build a viable product and business. The weekend was a tremendous success. According to the Startup Weekend organization lead representative who flew in for the event, it was comparable in attendance to events in Boston, Seattle, Portland, and other much larger cities. What really impressed him was the quality of the ideas, the talent present, and, ultimately, the viability of the companies that were born through it. In fact, he got teary eyed at the end by how much his expectations were exceeded. He felt the quality coming out of Spokane was some of the best he's seen across the country! The people who deserve the real credit for the event are the sponsors, particularly Dennis Magner, Jeff Sanborn, and Brandt Heinemann. Magner Sanborn was by far the largest sponsor in cash and also did countless hours of labor designing the brand, putting collateral together, and more. The other major sponsor was the New Venture Lab at Gonzaga University run by Norm Leatha, which donated great facilities and more. Check out the site for a list of the other sponsors. There were also a number of community leaders who graciously donated their time to be judges and mentors. The Tourism Award finalists have been announced. First, The most prestigious of the Tourism Awards is the Extraordinary Leadership in Tourism Excellence (ELITE) Award. This year, Visit Spokane's Board of Directors have announced the winners are, Walt and Karen Worthy, owners of the Davenport Collection. Finalists for the Tourism Professional of the Year include Lori Castro, Red Lion Hotel at the Park. 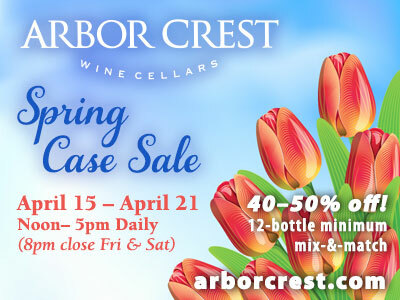 Mike Gaffaney, Spokane Public Facilities District and Jim van Loben Sels, Arbor Crest Wine Cellars. The 13th Annual Inland Northwest Tourism Awards are Wednesday, May 16. Mirabeau Park Hotel and Convention Center will host the event with a reception beginning at 3:15pm and the program beginning at 4:00pm. 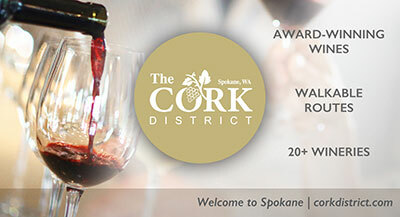 For all the other category finalist information and to register go to visitspokane.com. KREM-TV announces the promotion of Dan Greiner to the role of Internet Sales Manager, KREM.com. Greiner has been an Account Executive for KREM 2 and KSKN 22 since 2006. Greiner will lead an internet sales team managing a dynamic suite of digital advertising offerings on KREM.com and the site's mobile apps. KREM.com is also a reseller of Yahoo display advertising, allowing advertisers to target by geography and behavior. Greiner is a Spokane native with a BA in Business Administration from Western Washington University. Revenue from Internet advertising in the U.S. hit a record $31 billion last year, according to a study released last Wednesday. That's up 22 percent from $26 billion in 2010, the previous record. The Interactive Advertising Bureau, an industry group, conducted the quarterly study with PricewaterhouseCoopers. About half of the ad revenue, $14.8 billion, came from the search category. Those are the text-based ads that are sold by Google and others and that are targeted to search terms and other keywords. The fastest-growing category was mobile, with revenue of $1.6 billion in 2011, more than double the $600 million a year earlier. It's still a small part of overall Internet advertising, however. According to the study, retail advertisers were the largest spenders, accounting for 22 percent, or $7.1 billion, of the total last year. Internet ad revenue in the final three months of 2011 totaled $9 billion, a 20 percent increase from the same period in 2010. That's also a record, beating the $7.8 billion in the third quarter of 2011. Television viewers have more choices now than they ever have in terms of entertainment, reaching far beyond television to online shows, video games and tablets. And yet, despite the vast universe of alternatives, TV viewing remains remarkably stable. That's the conclusion of a new report from RPA, the Santa Monica-based agency that writes up an annual midseason television survey based on current and past Nielsen data. The report finds that TV viewing has been remarkably stable over the past three years, with live-plus-seven-day-DVR-viewership actually rising slightly for broadcast and cable during that span. That would seem to contradict the idea of a 'rapidly changing' TV audience that's been mentioned frequently in the media during that same timespan. The report also notes that the top 25 cable networks were the same as last year for the first time in the report's history, reflecting the greater stability of the medium. Marcea Mandsager has joined OurTownZip as a vice president. She comes to OurTownZip with over twenty years in entrepreneurship, leadership and technology, working with some of the largest names in the industry, including Apple, Inc. Her responsibilities at OurTownZip include the oversight of all operations, sales and marketing, financial fiduciary, as well as strategic planning and technology. OurTownZip is a Liberty Lake company, founded in 2009, by June Swatzell, with the purpose for being the number one resource for shopping locally, online, within the greater Spokane and Coeur D'Alene area. The company serves to provide small businesses with free, online storefronts tapping into the OurTownZip customer base, and converting online hits to in-store foot traffic. Additionally, OurTownZip offers consumers an online hub for local deals, specials and more, encouraging local business support and growth. For more information on local business shopping, and OurTownZip's services, both premium and free, visit www.ourtownzip.com. Veterans from Operation Iraqi Freedom, Operation Enduring Freedom and Operation New Dawn are invited as guests of the Coeur d'Alene Casino Resort and the Coeur d'Alene Tribe at Circling Raven Golf Club on Thursday, April 26th All veterans, spouses and immediate families of OIF, OEF and OND are invited free of charge. This is an official 'Welcome Home' event for returning veterans of all services in the Idaho and Inland Northwest Regions. Opening ceremonies begin at 9am with Tribal Welcome & Greetings from military command with the Air National Guard Band of the Northwest. Golf tee times are available for up to 144 players. Tee times are limited, so RSVP or for more information, contact Mark Nelson at Circling Raven Golf Club at 800-523-2464, ext. 7259 or MNelson@cdacasino.com. If room is available, spots will be open to the general public to participate. Greens fees paid by the general public will be donated to the Idaho Guard and Reserve Family Support Fund. Dinner will be held at the CdA Casino & Resort Banquet Center, starting at 5pm with music provided by the Air Force Band. RSVP required. If available, general public may attend dinner at $16.95 per person, proceeds to Idaho Guard and Reserve Family Support Fund. For Dinner information, contact Cassandra Rzepa, Family Assistance Center Specialist, Idaho Joint Military Family Program at 208-660-4066 or Cassandra.vig@us.army.mil. Hotel and Spa specials will also be available. "There's a way to do it better, find it."